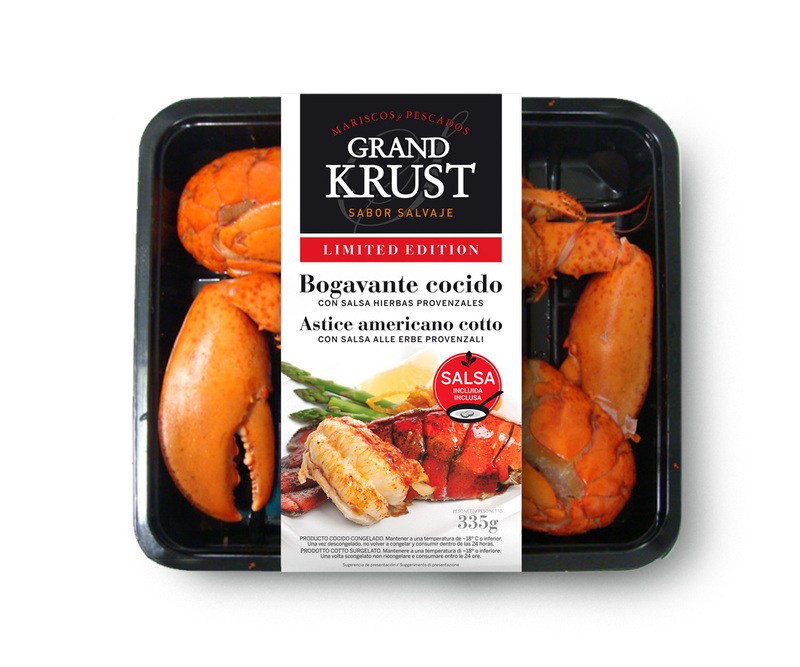 This recipe of mixed grill of Argentinean red shrimps, scarlet shrimps, scampi and lobsters is ideal for the special days when we have guests. 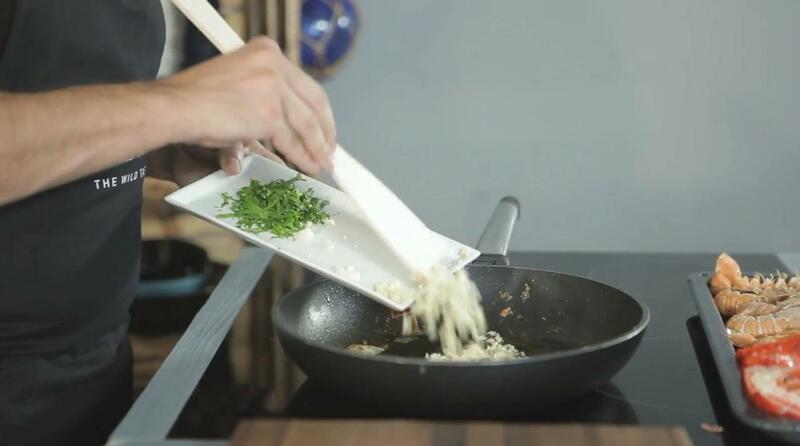 In just twenty minutes, we can have ready an exquisite and very complete second plate, allowing us to enjoy the full flavor of seafood, seasoned with a savory sauce of garlic and parsley. 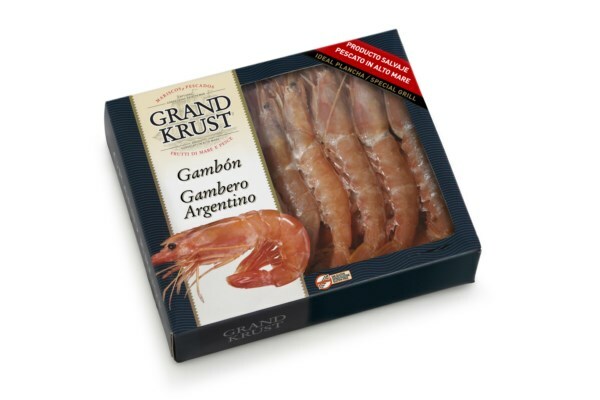 Season to taste the Argentinean red shrimps and the scarlet shrimps. 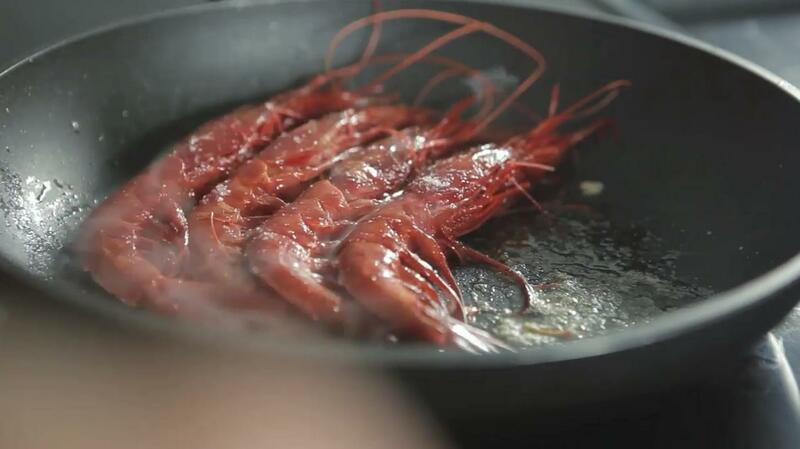 Cook them for one minute on each side on a grill or on a large frying pan with a little oil. When they are done, put them aside on a baking tray. Season them to taste and cook them also on the the same grill or frying pan for one minute with a little oil. When they are done, we put them aside in the same baking tray. 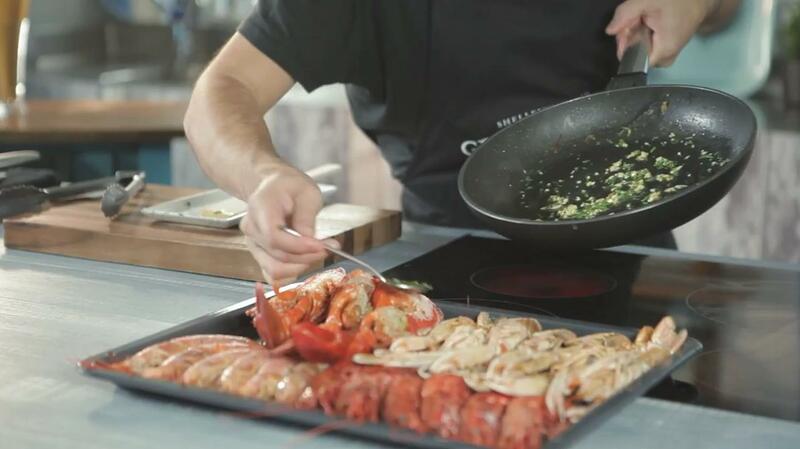 Season to taste the lobsters and cook them with a little oil in the same frying pan, but only on the skin side. After a few minutes, we take them off and put them aside in the baking tray. Lower the heat, add a splash of oil to leverage the released juices from the seafood and slightly pan-fry the garlic and the chopped parsley. 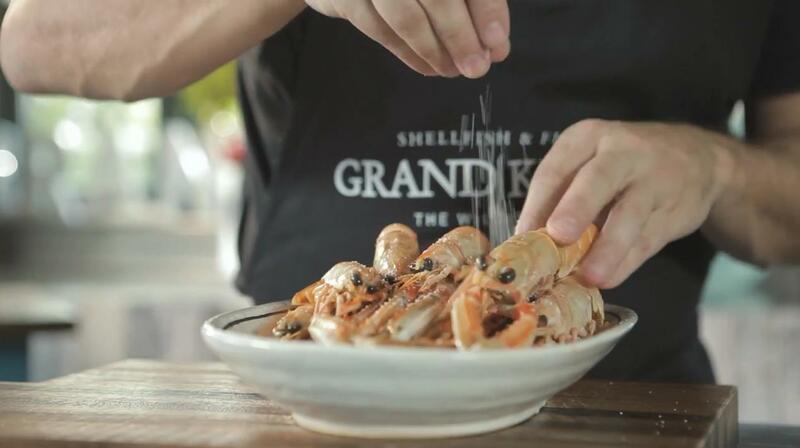 Sprinkle over the seafood the mixture of fried garlic and parsley. 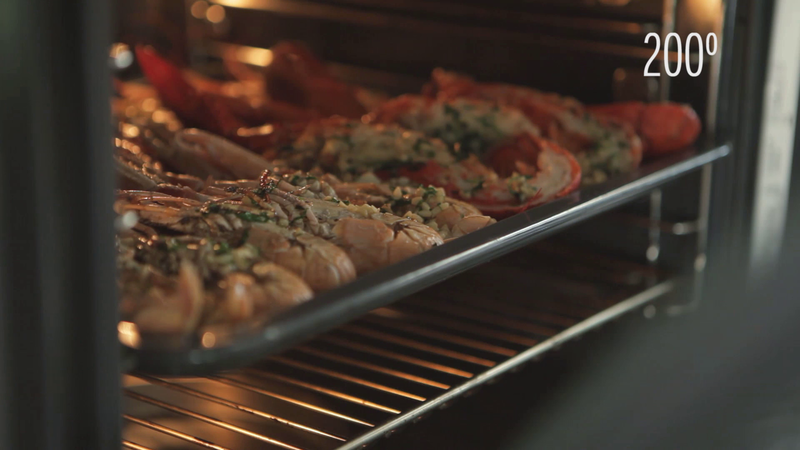 Bake togheter for five minutes at 200° C.
Take out the tray from the oven and serve. We can also do more a complex and varied sauté to surprise our guests. For instance, one option would be to prepare a sauté with onions and tomatoes. 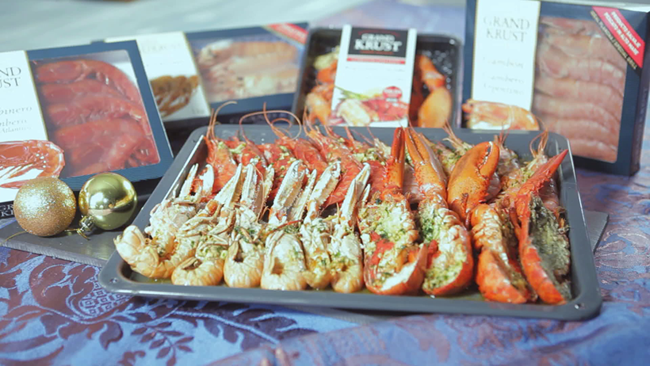 One of the favourite seafood for the most demanding chefs. 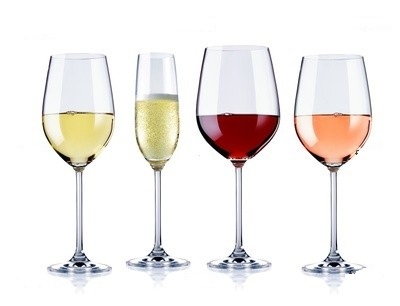 Grilled or cooked, in simple dishes or in the most elaborate ones, they will always surprise you. 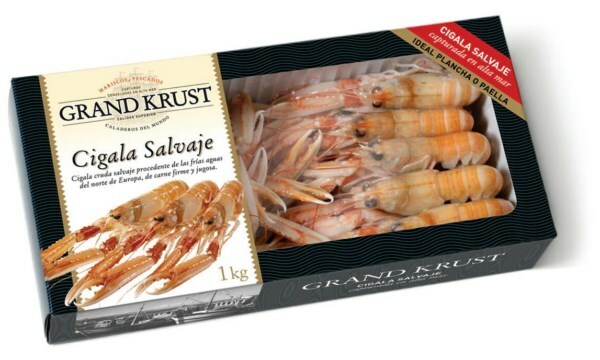 These colorful and bright shrimps are suitable for cooking on the grill or oven, oferring the pleasure of its texture and taste to the consumers. 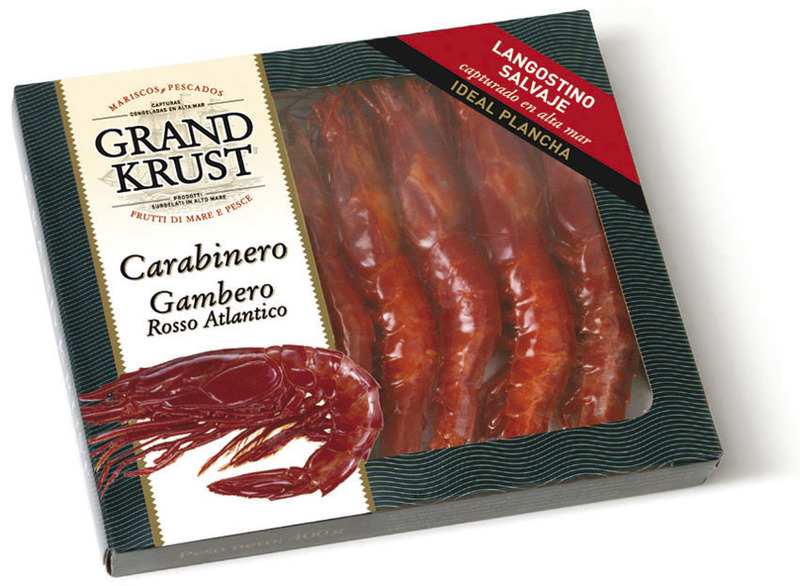 Wild raw scampi from the cold water of Northern Europe, with firm and juicy meat. 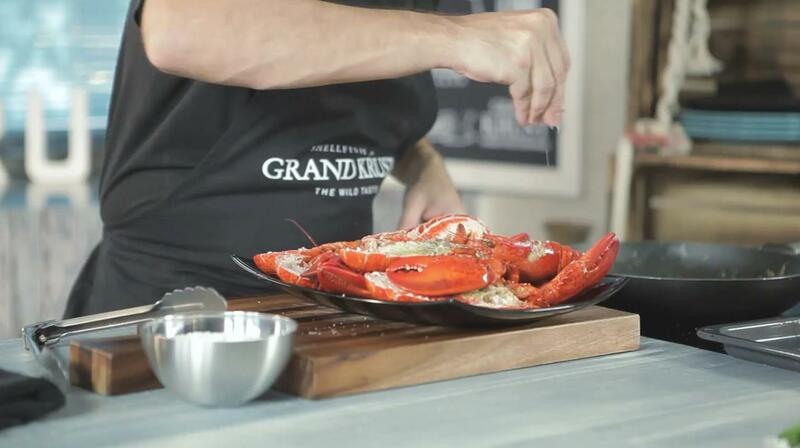 Delicious cooked lobster served with Provencal herbs sauce to enhance your dishes. Bon appetit!